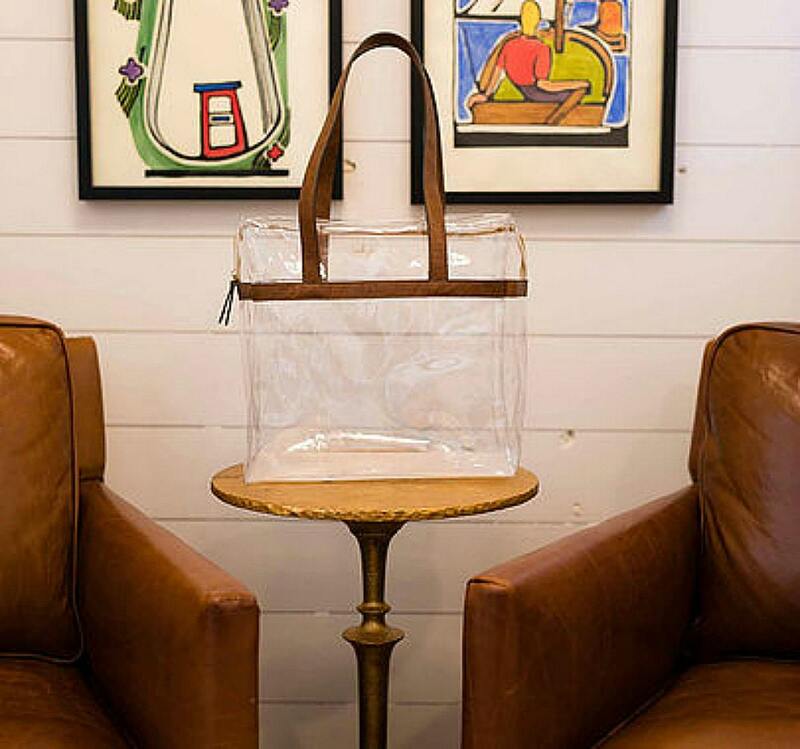 Clear totes are now required for access to most public venues, including concerts and sporting events. 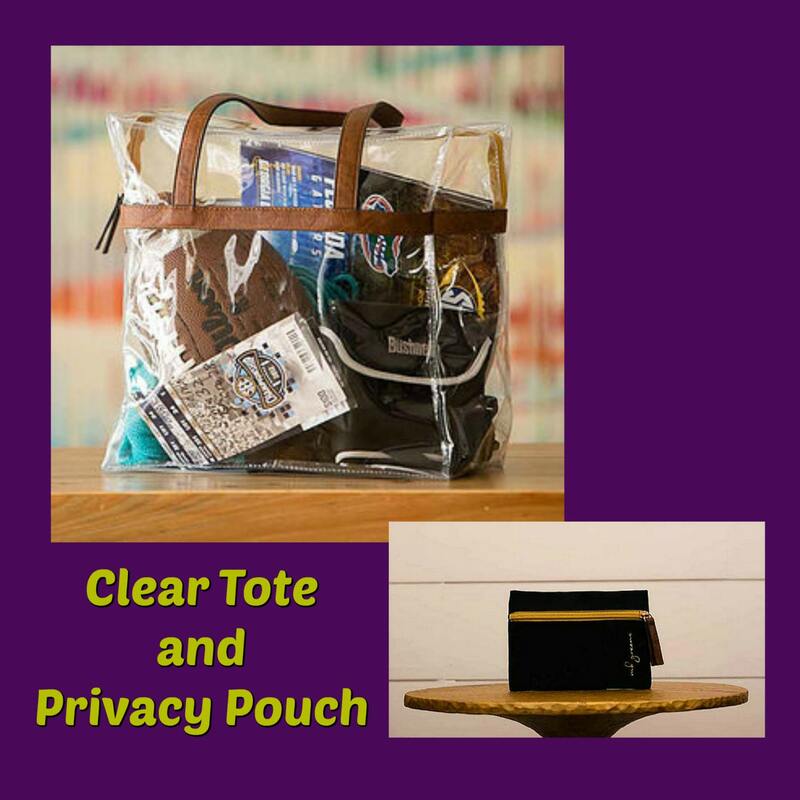 Be prepared for your next event with our Clear Tote and Black Privacy Pouch! 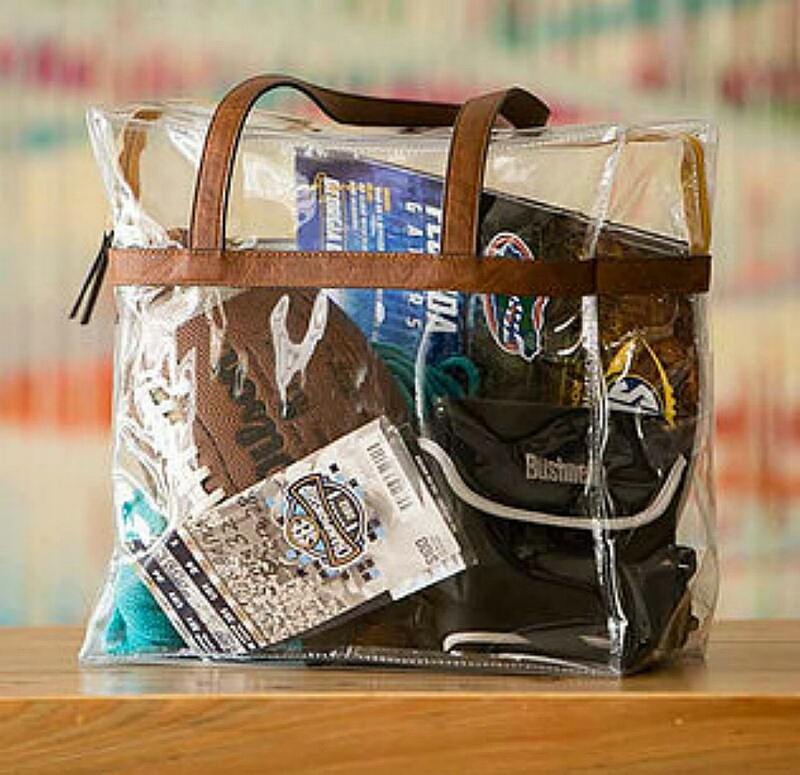 Tote is compliant with the Clear Bag Policy intended to enhance public safety and improve access for fans. Tote measures 12x12x6". 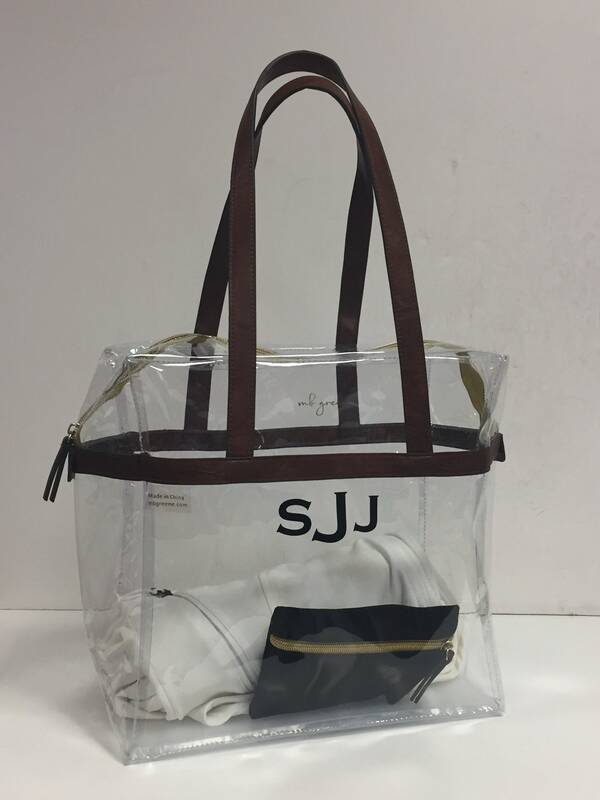 It has brown leatherette handles and trim, a gold zipper with gold trim, and a semi-transparent, rigid base. 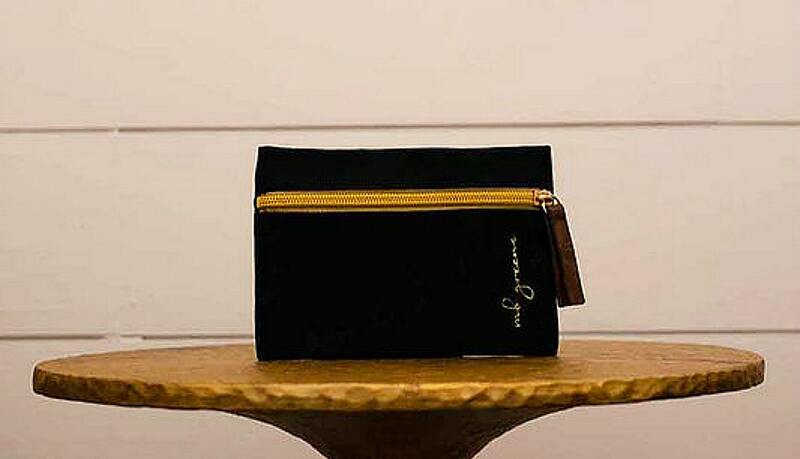 Included is the Black Privacy Pouch. It complies with size requirements for non-transparent cases. It's perfect for your credit cards, cash, and any "unmentionables" you may need! Black fabric pouch measures 4.5x6.5". It has a gold zipper with a leatherette pull. Monogram will be in vinyl. Please specify what color you'd like and how you'd like it personalized. **The Department of Homeland Security has generated trending support nationwide, therefore these policies are strictly enforced. We suggest that you confirm the venue requirements prior to your event.